Put Klamath back in KID! 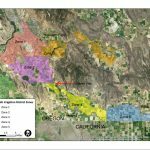 “There appears to be a substantial objective basis to believe that one or more violations of the executive session provisions of Oregon public meeting law may have occurred … when the board of directors of the Klamath Irrigation District discussed topics not authorized for executive session.” Oregon Government Ethics Commission, July 2016. 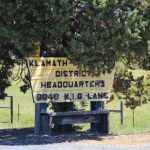 In this article, Herald and News staff reporter Lacy Jarrell writes about the meeting where Klamath Irrigation District’s decision to table a vote by the Board Members on whether or not to remain a part of the Klamath Water Users Assocation (KWUA). At the meeting, the Board of Directors took commentary from KID patrons about the pros and cons of KWUA and appointed Brent Cheyne as KID’s representative with Grant Knoll as the alternate. Many were concerned that pulling out of KWUA would result in KID losing representation on Klamath Basin water issues. Learn what you can do to get involved with our cause to put "Klamath" back in KID! KID Confirms: Chairman Cheyne Recalled! Cheyne & Kogan Emailing Outside Influencers? Which Zone Are You In? Make Your Voice Is Heard!